Last November we published our in-depth review of the Powermat. We thought it was awesome, but it was expensive and wasn’t necessarily hassle free. 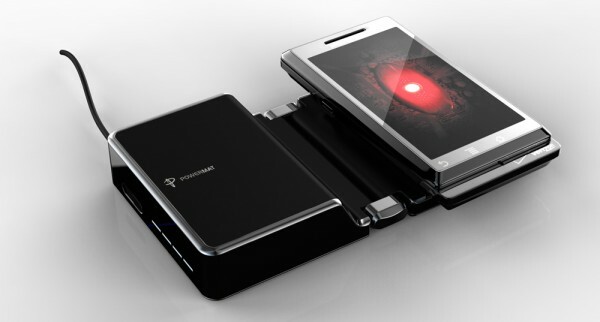 Earlier this month during the Consumer Electronics Show, we met up with Powermat. They showed us their new lineup of products for 2010. With some new unique products, I’m quite confident that they’ll have a successful year. One of my personal favorites was a special wireless charging enabled battery that replaces the one currently in your phone. You’ll essentially be able to charge your phone with the mat without cords, sleeves, or any other accessories. That’s not all, they’ve got more in stock so keep reading for details. When we last reviewed the Powermat, they had two offerings: the “Home and Office” and a “Portable” version. While we didn’t particularly have an issues with the Mats, they came up with new ones anyways. The new Home and Office model is offered in three sizes: 1X, 2X, and 3X. They can charge one, two, and three devices, respectively. While I didn’t have the chance to spend too much time with the new model, it was noticeably sharper looking and slimmer. I felt that a single charger defeated the purpose of advertising a cable-free solution since a cable would need to go to the mat anyways. You could save some cash and just plug in a single device if that’s all you need to charge. However, the dual and triple Powermats make sense. Powermat also introduced some new Portable Mats. Unlike its predecessor that was simply a foldable version of the Home and Office model, these have a built-in high-capacity battery pack. That means you’ll be able to charge your devices without needing to be near an outlet. These will be available in single and dual capacity flavors. That’s probably as wireless as it can get with today’s technology. Powermat also mentioned that it comes with a carrying case and includes international pins to recharge anywhere. While the Powermat is an awesome idea, it was quite disappointing to learn that you’ll need to have a special sleeve over your device. I didn’t like the idea of having an ugly bulky case over my iPhone or any device for that matter. Fortunately, Powermat has a new product that aims to solve that, the Powerpak. It’s a simple replacement battery for your current phone. You just pop out your current one and throw in the Powermat branded version. Unlike your old battery, this one is enabled for wireless charging. They will be offering batteries for HTC, BlackBerry, Nokia, LG, Samsung, Motorola, Sony Ericsson, and more devices. That means you can just place your device on the Powermat to charge without needing a sleeve or any attachments. Powermat also announced new cases for the iPhone 3G and 3GS. Apparently feedback from customers wasn’t too positive when it came to their bulky cases. Therefore, they designed a silicone receiver that’s significantly more compact. They also showed off another model that sports an extended battery in addition to wireless charging capabilities into one case. Both offer access to the USB port for syncing with a computer without having to remove the case. The extended battery case will be available in June 2010 for $79.99 and the Silicone receiver will cost $40 in April 2010. While the Powermat was a great idea, I wasn’t too sure about the future of the company after I had a chance to play with last year’s model. That was partially due to the fact that companies such as Palm were integrating the technology directly into their devices such as the Pre and Pixi. That would leave Powermat’s accessories unnecessary if other companies followed the trend. However after seeing the new Powerpak battery replacements first-hand, Powermat has renewed my confidence. They have a creative team and I can’t wait to see what other ideas they’ve got in the works. We’ll be getting these review units in the near future, so please stay tuned. What do you think about the other competitors with wireless power? Places like WiPower and Powercast? 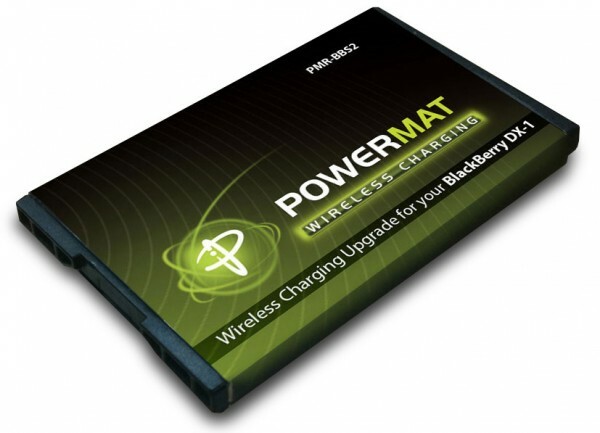 I think Powermat is the most consumer-ized company that offers wireless power accessories for existing products today. Those guys seem to offer the technology for others to embed into their products. Emerging compeditors for Powermat include both Duracell and Energizer who are beginning to push Powermat-like products to the market. They both had quick announcements during CES. However from the looks of it, they are far behind.